I have some problem with fork fitted. 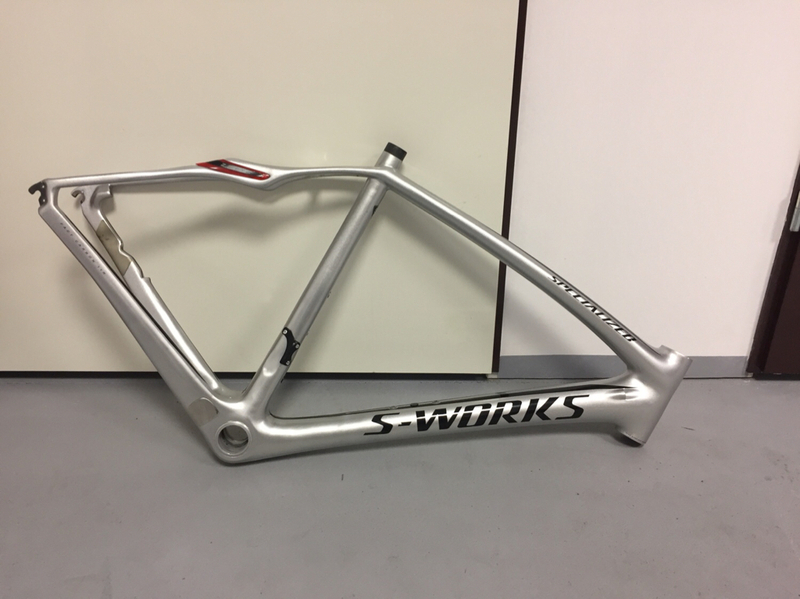 I bought new frame Spec S-works Roubaix Sl4 from 2014. Now I’m trying to fit the fork... and I can’t. I have two Roubaix Sl4 forks, but they do not fit to this frame. Do you have any ideas what do I wrong? 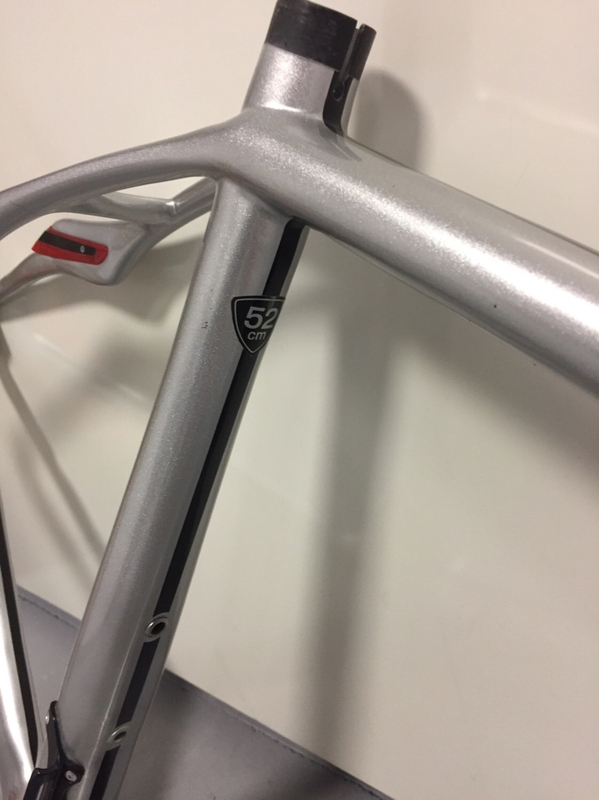 Frame size is 52cm. 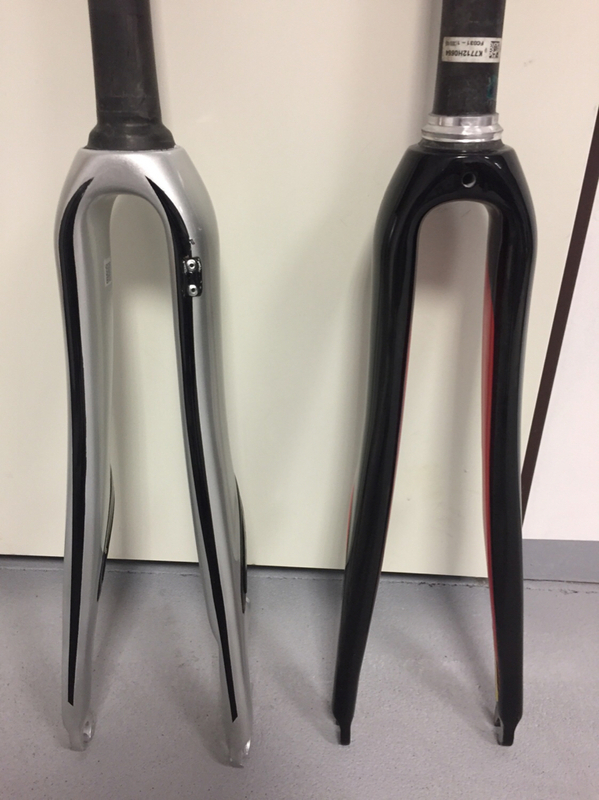 Anyone don’t know how Specialized fitted their forks to frames? Is that a disc or caliper brake frame? I know he's got one of each(frame look disc so silver fork is the one)... probably does not even have a headset it would seem. OP go down to the dealer please..
Its disc brake frame. Before I prepare this topic I was in dealer shop. They told me, that Spec has a lot of forks type. Before I will purchase new one, I want to know well which one should it be. 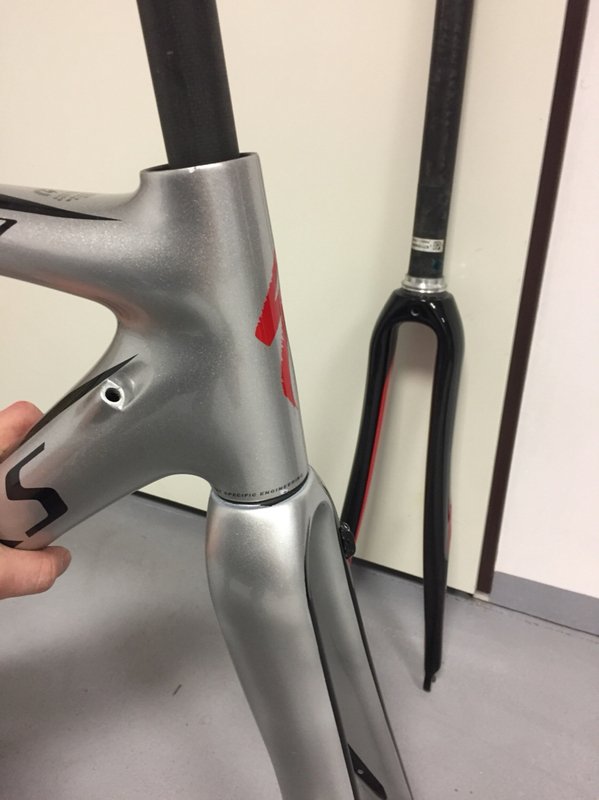 The S-Works Roubaix SL4 has different lower bearing sizes for different frame sizes. You need a Fork made for a 49 or 52 frame. Was yours for a different size frame? I bought fork and frame separately without this knowledge and it doesnt fit. I will find new one. 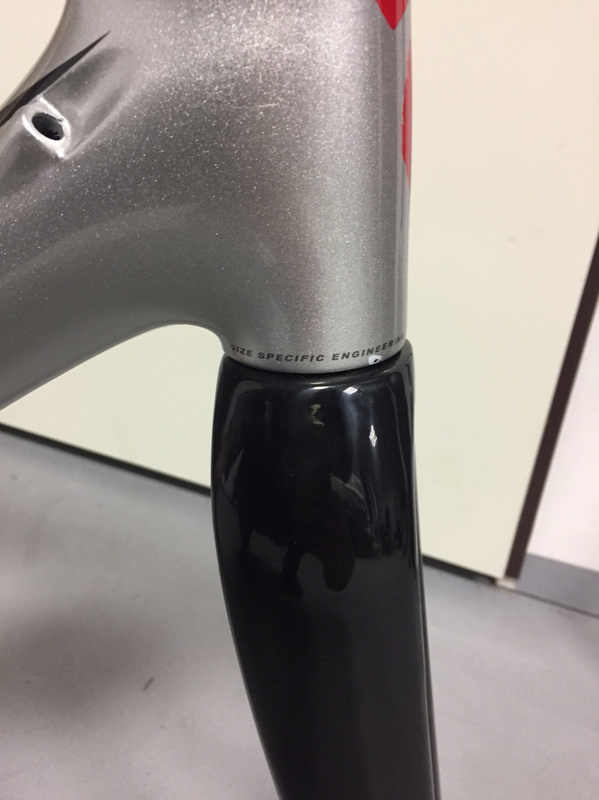 S-Works Roubaix 2019 (2020) ? Any tips on ensuring ergo lever doesn't move on bars? What to buy ... Domane, Defy or Roubaix?